I’m running to represent Brattleboro District 1 in the Vermont House of Representatives because I want to bring us together to create a government we can trust to hold us to our best selves—to allocate joint financial resources equitably and sufficiently, to secure equal rights and dignity for all, and to make sure everyone has access to quality healthcare, education, affordable housing, and social supports paid for with a progressive and fair tax system. I will focus my campaign, and my service as a representative, on bringing people in to the work of government and building participation in our democracy. Democracy. At this point in history we need as many people as possible to be directly engaged in the work of democracy: talking to neighbors about what’s important, advocating for community needs, and working directly with government to make things happen.  Emilie is committed to community, dedicated to democracy, and experienced at bringing people into the process. Action. We need a representative in Montpelier who knows how to make things happen in a complex and shifting environment. 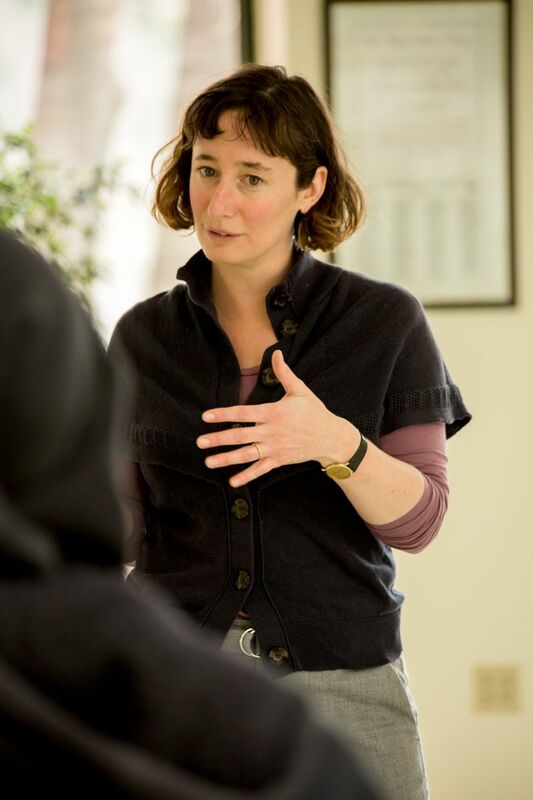 Emilie is bold and creative, comfortable with conflict, and expert at building coalitions and navigating bureaucracy. Participation. For democracy to work, we need to close the gap between government and community. People from all parts of the community—not just the privileged and traditionally politically engaged—need to have an active role in the process. 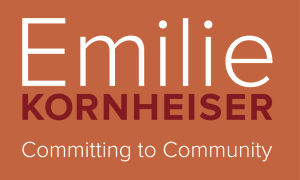 Emilie is committed to engaging all of West Brattleboro and connecting the community to Montpelier. Collaboration. All sectors—government, businesses, nonprofits—have a role to play in making our community a better place. Emilie knows that there is no “one weird trick” to solving the problems we face. Her deep reservoir of experience working across sectors to improve systems in Vermont and around the world will allow her to bring a common-sense approach to Montpelier. 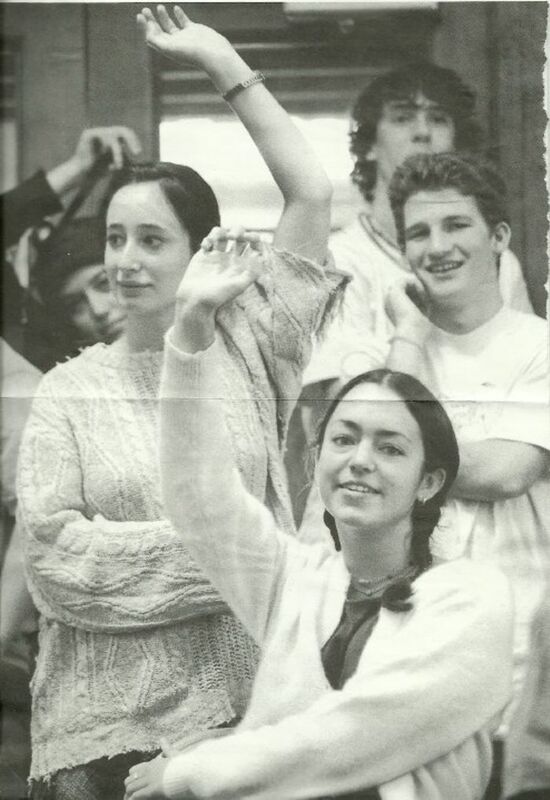 Emilie attended her first town meeting more than 20 years ago, as a student at Marlboro College. In fact, this photo of her proud arm in a raggedy sweater is familiar to anyone who has been on Marlboro’s mailing list. That first moment of realizing that her voice mattered—that by speaking up, she could change her community—it changed her. She wants everyone in the community to get that bug—to realize that their particular skills, interests, and perspective can and should be part of the equation, and that we are so lucky to live in a community that CAN be transformed to reflect the voices of everyone living in it. Emilie has developed a reputation around Brattleboro as a person who volunteers, so when boards or organizations or people have a need, they’re likely to come to her as someone they know will jump in with both feet. That means she’s had the opportunity to step into organizations that are at turning points—organizations that need to show results or connect more deeply. Emilie’s strategy is to look at things from a wider perspective, survey the gaps, and serve as a bridge between people and organizations to build power and connection in the community. Making local services and organizations work: Emilie was the first non-minister to organize all of the volunteer meals for our community seasonal shelter, she serves as the de facto chair of the Brattleboro Human Services Committee, and she led the newly formed Committee for Compassionate Community through a strategic planning process. 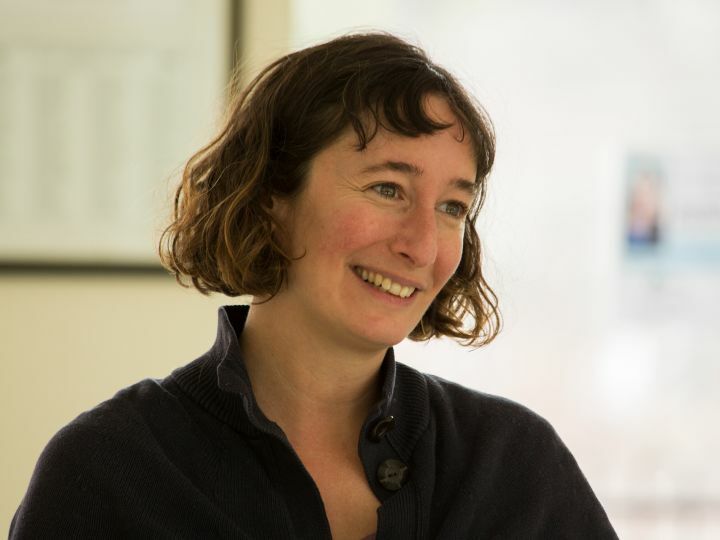 As elected vice-chair, Emilie worked to turn around the culture of the Brattleboro Food Coop Board of Directors to one of welcome, transparency, and positive growth. Founding and leading organizations dedicated to equity: Emilie is a co-founder and advisor for Equity Solutions, a consultancy focused on transforming class in our state, and she is a member of the Community Equity Collaborative, a committee of community members working towards racial equity in our community institutions. She is also a founding member and a member of the leadership team for WeCAN (Windham County Action Network) and the Women’s Action Team. Public service and political engagement: Emilie serves as an elected delegate from the Brattleboro Democratic Committee to the Windham County Democratic Committee, and she is a member of the statewide messaging team. She is an elected member of Brattleboro’s Representative Town Meeting, and in July, 2017, Speaker of the House Mitzi Johnson appointed Emilie to the Vermont Commission on Women. Emilie would like to bring her commitment to our community to the Vermont House of Representatives. Can you help? Sign up to volunteer, or donate to cover campaign costs. And thank you!